Andrews’ Endowed School is a Church of England Primary School for children from four to eleven years old. The original school was founded and endowed under the will of Thomas Andrews in 1719. Thomas Andrews was a local benefactor, who left money in his will for a school to be established for the children of Holybourne and the surrounding villages. The school’s foundation is celebrated each year with a service in the Church of the Holy Rood at Holybourne, when our pupils lay posies at the tomb of Thomas Andrews. RHS School Gardening Level 5 Award! 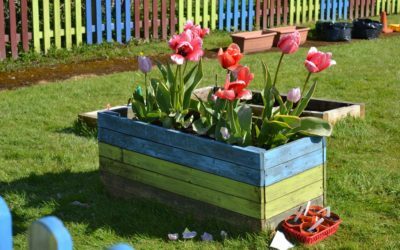 We were delighted to find out this week that our school has reached Level 5 in the RHS School Gardening Awards – the highest award that it is possible to achieve.